How wonderful to have a hedgehog! Loving 15m of green Sharon – layout, photos, writing – all brilliant – keep it up! Thanks Jane – very kind! 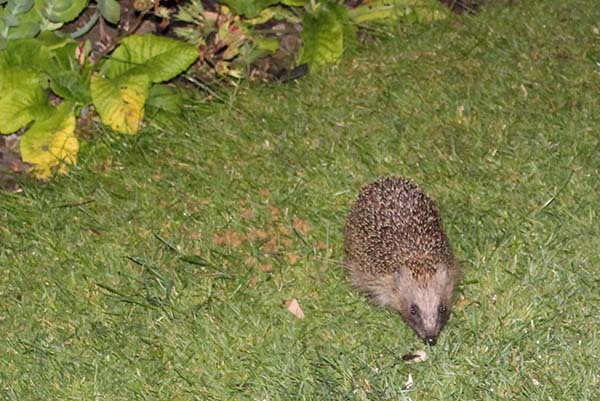 We’re thrilled that the hedgehog(s) are now coming in regularly (they love chicken-flavoured dog food!) and we’ve had two in together on several occasions, still huffing at each other on the lawn.